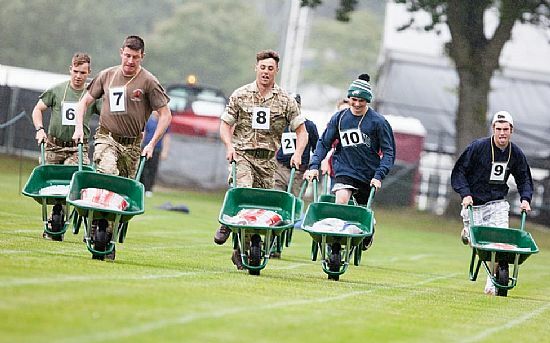 Inverness Culloden Rotary Club is organising the Inverness Wheelbarrow Grand Prix which will be run on Friday 20th July starting 18:00 on Inverness High St and will be an opportunity for individuals as well as businesses to get involved by racing against the clock and each other, and hopefully to raise funds for charity. Hopefully it will be a real competitive but fun way to raise funds for charity (enter 2 or more teams and you can nominate your chosen charity). It should be a fun evening out and winners will get free tickets to the Strongman competition and Highland Games.